Theological Threads Baptism With Water Dropping Applique Stole. Baptism With Water Dropping Applique Stole, finely tailored and decorated with baptism symbols applique. 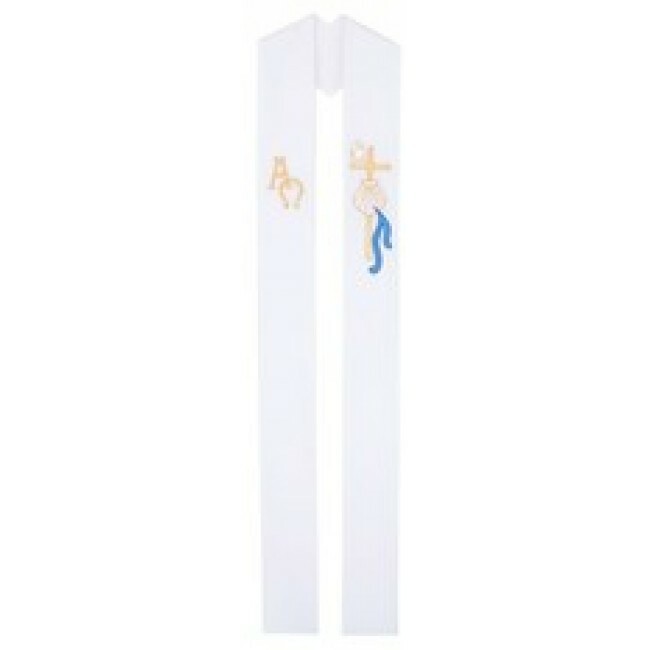 This beautiful stole comes in either priest-pastor or deacon style. in place. Chain in place of stole cord is optional for additional cost, and needs to be specified at the time of order.